Beautifully figured pinky coloured marble top which is nice and thick and has been bevelled underneath. The base is gilt metal with ball feet. 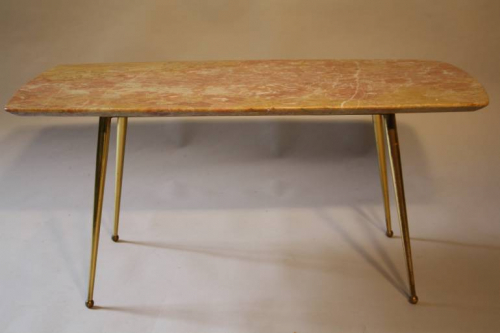 A very classic tactile 1950`s Italian table. Excellent condition very minor signs of aging.